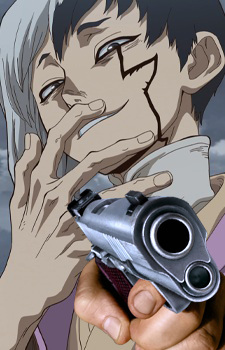 Italian shitposter, jojofag, wanna be writist. Kind-of 3D modeler. Currently getting held hostage by myself and forced to actually watch anime instead of just acquiring knowledge through shitposting. Frieza and Cooler main on Dragon Ball FighterZ. Snake and Ganondorf main on Smash Ultimate. Big Band and Squigly main on Skullgirls. Sub-Zero and Kano main on Mortal Kombat. Zato-Ichi and Jack-O main on Guilty Gear. Tager and Arakune main on BlazBlue. Hol Horse, Alessi, and DIO main on Jojo: Heritage For The Future. I like 2D fighting games. ~ 200th Anime Completed: ? ~ Anime Of The Year 2016 (AOTY2k16): Jojo's Bizarre Adventure: Diamond Is Unbreakable !! ~ Anime Of The Year 2017 (AOTY2k17): Shoujo Shuumatsu Ryokou !! ~ Anime Of The Year 2018 (AOTY2k18): Jojo's Bizarre Adventure: Ougon No Kaze (Vento Aureo) !! [08/07/18 - 14/07/18] - Streetlight Manifesto - Would You Be Impressed? I have been a dancer for a very long time. Sometimes a beam but via dance alone. what kind of memes, DANK ONES? Weeeeila amico mio!! Ultimamente non stavo frequentando molto MAL (siccome ci sono i problemi del sito) pero volevo farti sapere che sono ancora vivo. :) Spero che stai bene! Ho sempre piacere di sentirti! Watched it drinking Vodka, now I'm reading it.